This is the third part of our series on learning how to play Damath. 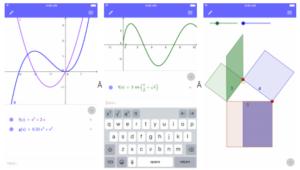 In the first part, we learned about the basics of Damath and in the second part, we learned how to capture multiple pieces. A piece can be promoted when it reaches the last row (the first row of the opponent’s area) on the board. 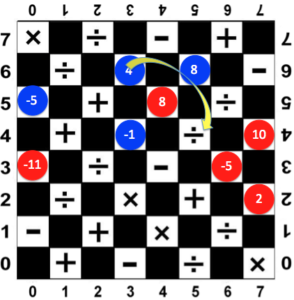 In the next figure, if it is the Red Player’s turn, then he can promote 2 by moving it to (6,7) as indicated by the arrow. 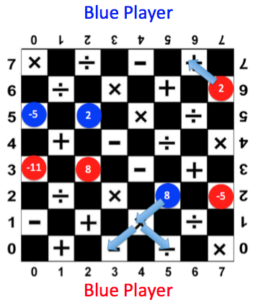 In the same way, the Blue Player’s 8 is just two moves away from being promoted. Promoted pieces are called dama (roughly equivalent of Queen in chess). Each player can have more than one dama.